Rescuers at work in Ksan on Wednesday. File photo. 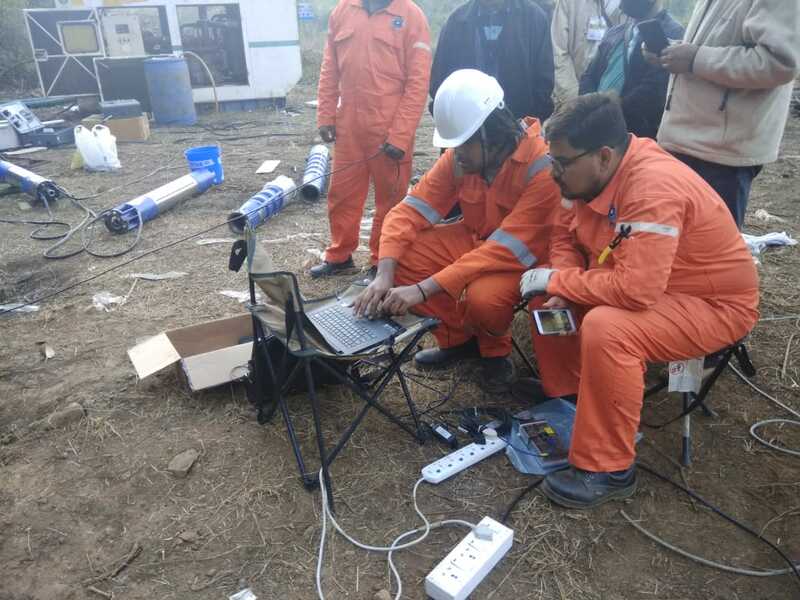 SHILLONG: Family members of some of the coal miners, who are trapped in the coal mine at Ksan in East Jaintia Hills since December last year, have written to the deputy commissioner saying they have no objection to the rescue operation being called off. Informing this here on Monday, Revenue and Disaster Management Minister Kyrmen Shylla said that while some families have submitted their letters some more are likely to follow suit. “Once the letters reach us, we will take it up with the Supreme Court,” he said. It may be mentioned that the Supreme Court is monitoring the rescue operation and has from time to time directed the state and the central governments to continue it. The accident occurred on December 13 last year when water flooded the rat-hole mine trapping 16 miners. Bodies of two were retrieved subsequently. Another body was also detected, but it could not be brought out. Meanwhile, the minister also informed that the rescue operation is continuing at the site and new and more powerful pumps were installed to dewater the affected mine and some others in the vicinity which are believed to be inter-linked. So far, the agencies involved in the rescue operation have drained out crores of litres of water. Several agencies like NDRF, SDRF, Indian Navy a fire service contingent from Odisha besides various experts from across the country were called in for assistance in the rescue operation. When asked about reports of large-scale illegal coal mining taking place in the state, the minister reiterated that the government is taking every step to check the activity and doesn’t encourage it at all.